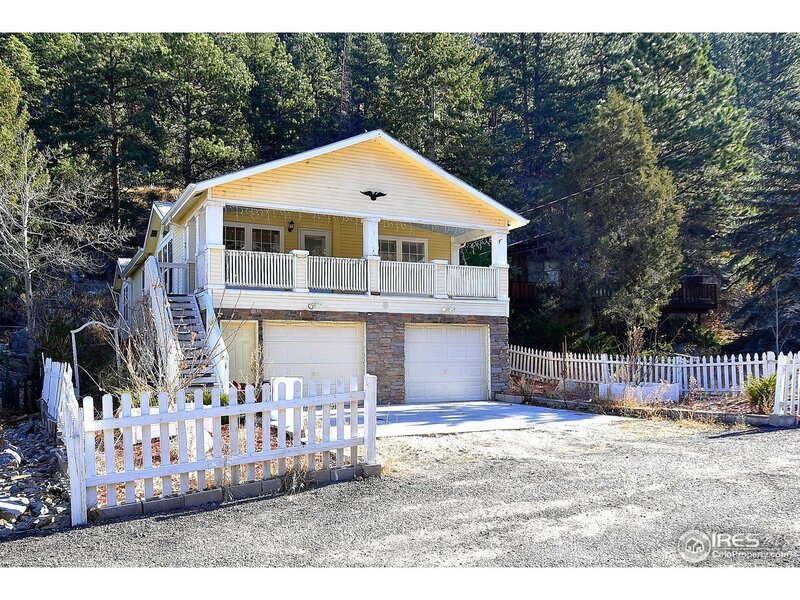 Don&apos;t miss your opportunity to own a mountain home that sits right on the Thompson River! Fish on your own property or just take in the gorgeous VIEWS from the huge covered front porch. The open floor plan is conveniently all one level & sits above the oversized garage containing large storage/workshop area. Kitchen includes stainless appliances & gas stove. Generous master suite with 5 piece bath & spacious walk in closet. Close to Loveland & Estes Park. Perfect for a year round or 2nd home!